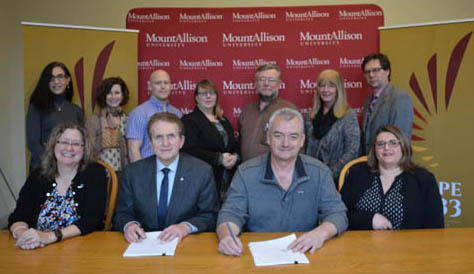 Mount Allison University and CUPE Local 3433 have ratified a new four-year collective agreement. Our sincere and heartfelt thanks go to the Negotiating Team (Margaret Ann Esparza-Lee, Phil Cormier, Kellie Mattatall, Paul Del Motte, Roxie Ibbitson, and Lori MacKay) for all their hard work. Full press release and information can be found here.